Beautiful Mexican Talavera Personalized Address Ceramic Plaque handmade and hand painted by expertise artisans. With bright and beautiful designs rich of colors. We recommend this Mexican Talavera Personalized Address Ceramic Plaque to decor your house, office, etc. 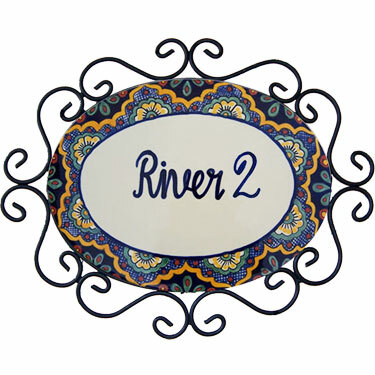 Giving a nice welcome to your guests with your family name, address or just your address number, just let us know how to personalized your Mexican Talavera Tile Plaque. If you need a custom order contact us, to check if we can make it possible for you.